Oude Vest 109 in Leiden 2312 XV: Appartement te huur. - EasyMakelaars B.V.
Te huur op loopafstand van het centrum een gestoffeerde 2 kamer appartement op de begane grond. Huisdieren en roken (binnen) niet toegestaan. 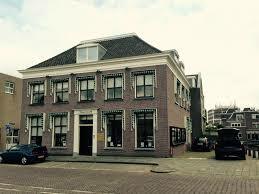 Een mooi beneden appartement, met veel authentieke details, op de Oude Vest in hartje centrum van Leiden. For rent within walking distance of the center an unfurnished 2 room apartment on the ground floor. Pets and smoking indoors are not permitted. A beautiful downstairs apartment, with many authentic details, on the Oude Vest in the center of Leiden. Almost all city and regional buses pass through the center of Leiden. A stop is always within walking distance. 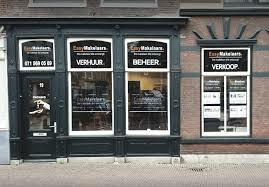 From here you can quickly and easily get anywhere in Leiden and the surrounding area. Every few minutes a bus goes to Leiden Central Station, from where you can travel to The Hague and Schiphol within fifteen minutes and to Amsterdam, Rotterdam and Utrecht in less than half an hour. o Copy of passport tenants and residents. o Copy of employment contract or employer's statement with income details. The municipal levies are charged once a year by the municipality. The amount of the fees varies per municipality. You can find the rates of the municipal taxes on www.bsgr.nl. The tenant is assessed for the user part. It is important to take this into account as a tenant.